Coaching involves a collaborative relationship between the coach and the persons being coached, where the masterful coach is able to draw out the very best from the “coachees”. Just as you can have a personal trainer help you get to peak levels of fitness and health, or a sports coach to get a team in championship form, you can hire a coach for a variety of reasons to take you, your life or/and team/organization to higher levels. Coaching is for EVERYONE who wishes to improve some area or all areas of their life, perhaps even to be able to live the life of their dreams. It is also a powerful tool for organizations to move EVERYONE forward in synchronicity, towards outstanding success. Coaching takes you, as an individual, and/or your team/organization from where you are at to where you would like to be. However, with our special brand of ontological coaching, this is not a linear movement from point A to point B. With your permission, we take you on an inward journey or Path to Greatness, through issues, challenges and blocks that might stop you from moving forward powerfully. Then, we lead you to soaring heights, as high as you are willing to fly! You remain in charge throughout the process. You decide what you want to get out of our coaching programs, and how far you want to go, how much you wish to transform and succeed – personally, professionally or/and organizationally. We are simply here to support you to be your indomitable self who can create anything your heart and soul desire in ALL areas of your personal and work/business life, in the most relaxed and joyous way! Helen’s coaching style focuses on Internal Self Management, which brings out the best in people: both individuals and teams. It helps them achieve results and objectives effortlessly and powerfully by being in sync with themselves and with desired outcomes. This integral process brings out the leader or greatness in ALL, and can represent tremendous personal, team, and/or organizational growth, raising awareness and performance levels in EVERYONE. It can be used to powerfully engage people and energize operations. The fact that we have three centers of information or “brains” as she calls them: the head, the heart and the gut. Each is a system of intelligence, networked together and influencing each other. Both stress and emotional mismanagement will negatively impact coherent functioning among the three systems. Alignment, however, will spontaneously bring higher intelligence, personal power and the embodiment of natural leadership qualities. 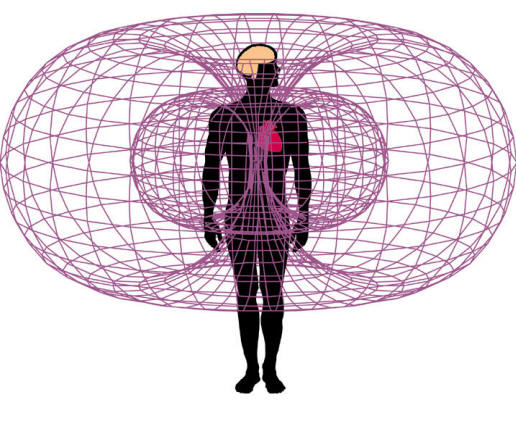 The heart’s energy field or torus extends 12 to 15ft from the body. The heart is a stronger generator of electromagnetic fields in the body – 100 times stronger electrically and 5,000 times stronger magnetically. Our ontological coaching is also based on Albert Einstein’s discovery that “The field is the sole governing agency of the particle”. This quantum physics principal means that when we want to consciously create real change in any individual or group/team/organization, we need to work on the person’s energy field or the group’s collective energy field rather than on his/her/its physical or superficial reality. Otherwise, we would be working merely on the symptoms rather than the root cause/s. Our coaching approach is capable of moving everyone who collaborates with us, including teams or groups of people, even entire organizations towards shared goals and visions, infinite possibilities and success, always getting everyone to address Who They Are before What They Do. Be they individuals or groups of people, the greater the collaboration the greater and faster the results. Helen Lee personally selects all our Associate Coaches, who are as committed as she is to the continuous process of transformation and empowerment – of our own (as individuals and professional coaches, and a coaching organization) along with those of our clients, communities and the world we share. Our brand of coaching is both transformational and results focused – for both individuals and organizations. Our expertise is in stretching people, getting individuals and organizations to go beyond what they imagine possible – and to do so willingly and wholeheartedly. We help people enhance the quality of their lives, as hugely as they dare to dream and allow themselves. We help leaders of all kinds, from youngsters and housewives to coaches and organizational leaders (people capable of influencing others) be more effective, and then support them to shift from effectiveness to greatness. We listen to you and always focus on what is important to you, and help you find the most natural and effortless way to make the breakthroughs you want. We quickly help you get clear on the best outcome/s for you, create a plan, develop priorities, and then begin to close the gap between where you are at and where you would like to be. We help you discover your unique gifts and talents; what you are most passionate about, the strengths that contribute greatly to your success and what holds you back the most. We help you use your talents to add value to some person, project, or company so that you feel fulfilled and can enjoy maximum success (rather than worrying about ever becoming economically extinct or unappreciated!). We help you align your strengths and passions – to your career, vocation, business model or organization – and help you get much better and more meaningful results. We help you have the most amazing and satisfying relationships in your personal and professional life, bringing you great happiness and peace. Most importantly, we help you feel great about yourself, your life, what you do and, if you allow us, we take you places you’ve never been – in your life or/and your organization! We help you be the phenomenal individual that you really are, or/and the amazing leader, team and corporation that you can be! Remember though, all this is possible only if you collaborate with us and conscientiously, consistently use our tools and strategies! They work beautifully with those who trust the process and persevere. Read our testimonials on this website from our Personal or Life Coaching Clients and Corporate & Executive Coaching Clients.